Jhomolhari base camp trekking known as Chomolhari base camp trekking which is one of the challenging treks in Bhutan for the real adventure. Mount Chomolhari (also spelt as Jomolhari 7, 316 meters above sea level) means the Goddess of Mountain that reigns in glory and its five sister peaks are the sources of Paro Chu (River), that nourishes the lush rice fields, apple and peach orchards of Paro Valley. The sacred mountain is a great object of respect and veneration to Bhutanese people and has one of the most popular trekking routes in the eastern Himalayas. The trail begins at the Drugyel Dzong and follows the ancient caravan route, heading towards the base camp of Mount Chomolhari , passing through scattered hamlets and farmland, into deep and richly forested valleys, which leads to a high alpine pastureland where yak herders graze their animals. 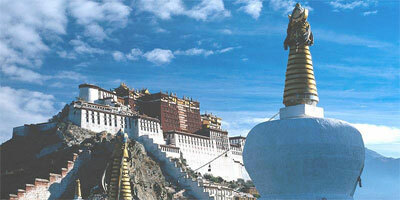 The trek offers a taste of great variety of Bhutanese landscape. Despite being one of the high altitude treks, this trek is moderate graded and requires no previous experience but a strong pairs of legs with determination and a spirit of adventures. We cover remote highlands of the Lingshi, witnessing the nomadic lifestyles of these high altitude gypsies. Sights of Yaks and the wild blue sheep on the mountains are awesome. Himalayan poppies , primulas , gentianas and the spectacular rheum nobile fill the mountain side in the summer. We follow the trial to Thimpu along Wanchu River and through rhododendron and pine forest and the ruins of Barshong Fortress before reaching the upper Thimpu valley at Dodena. Distance 17 kilometers, 5 to 6 hours walk, altitude: 2,800 meters above sea level. Drive up to Drugyel Dzong where the road ends and the trek begins. The trail follows the river through beautiful meadows and paddy fields. The night?s camp is just beyond an army outpost. The trail continues uphill through the river valley. The valley gradually narrows to a mere path which descends to a meadow where a camp will be set up. 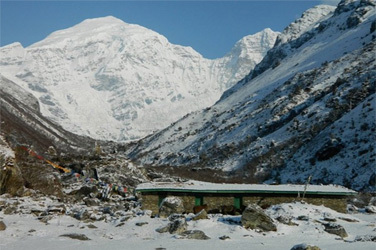 Trek up to Tosoh or hike around the area. There are good short hiking trails in three directions. Jhomolhari and it subsidiary mountain chains lie directly west, Jichu Drake to the north and a number of peaks to the east. Overnight Camp. Distance 19 kilometers, 5 to 6 hours walk, altitude 4150 meters. Trek through wide yak pastures and up and down passes. As you come down into the Lingshi basin, you get a wonderful view of Lingshi Dzong on a clear day. Tsarim Kang and its glaciers rise up at the north end of the valley. Night halt is a choice between a stone hut or the tent. A day excursion to Tsokha (Lake), which is the base camp for Jichu Drake, can be organized. Blue sheep and musk deer are plentiful along the trek route. Distance 15 kilometers, 3 to 4 hours walk, altitude 4500 meters. Distance 22 kilometers, 7 to 8 hours walk altitude 3963 meters. The trail climbs up to the Yalila Pass at an altitude of 4820 meters. From the pass, you can get an excellent view of Jhomolhari, Tserim Gang and Masagang on a clear day. The trek from the pass to camp site at Shodu is steep down hill. Camp can be made in a stone shelter or in tent. Distance 13 kilometers, 3 to 4 hours walk, altitude 3785 meters. The trail follows the Thim - Chu river through rhododendron forests. Waterfalls can be seen along the way. The valley narrows till the path takes to the slopes and gradually ascends to reach the ruins of Barshong Dzong. Camp can made in stone shelter or tent. Visit Tashichho Dzong, the main Government Secretariat building, where the government ministries, the Office of His Majesty the King and the Throne Room , and the offices and living quarters of the monk body and the Chief Abbot are housed. 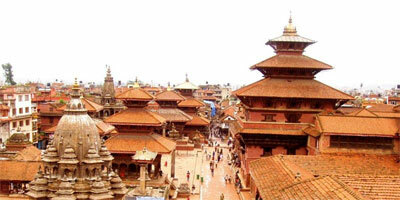 Explore the town, visit shops and the Handicrafts Emporium, where Bhutanese textiles and other handicrafts are available. Visit the workshop where the handicrafts are made. Visit the painting and woodcraft schools where traditional painting and other crafts are still practiced. 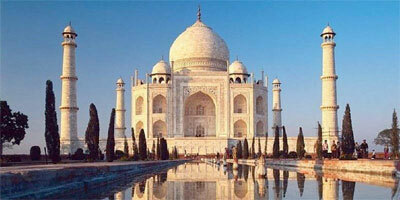 Visit the National Library and see the ancient manuscripts preserved there. 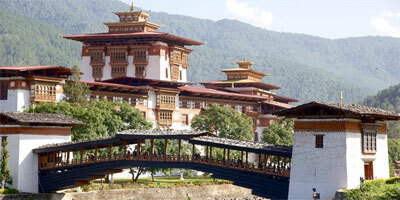 Visit the Simtokha Dzong (6 Kms. from Thimphu), the oldest Dzong in Bhutan built by Shabdrung Ngawang Namgyel in 1629 A..D. The Simtokha Dzong houses the largest monastic school in the country. Evening: Relax in Thimphu's modern health club and beauty parlour "Sakten Health Club & Salon." Sakten offers sauna, steam and gymnasium facilities, as well as full beauty treatment, including hair dressing, skin care (pure herbal products) and body massage services. For guests our, the Health Club facilities are free; Salon and beauty services are available for concessional rates.